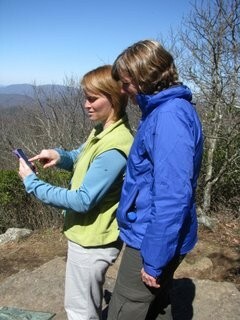 Get Out and Enjoy U.S. National Park Week with ViewRanger GPS! Just on the cusp of Earth Day, April 21st marks the start to National Park Week. For the entire week, admission is free for ALL of the 397 parks in the U.S. The National Park Service provides tips and tools to planning your visit and an event calendar. Events include informative walks and talks with Park Rangers. You can learn what makes rocks balance in Arches National Park, hike the Hot Spring Mountain trail with a ranger in Hot Springs National Park, or take a birding and wildflower walk with a ranger at Peaks of Otter, Milepost 86 on the Blue Ridge Parkway. The possibilities are endless! April 21st is also Volunteer Day. If you’re looking to roll up your sleeves, get a little dirty, and have a great time working in a park that means a lot to you, connect with the National Park Service for more information. Don’t forget to take your ViewRanger GPS with you! Discover new trails, track your trip, keep track of you hiking friends, and share your adventure with all your family and friends! We’ll be celebrating the week with fun National Park Trivia and by giving you a chance to win a USA map pack upgrade ($10.99 value!) for our Free to download Apple, Android, Blackberry Playbook App, and Nokia (Symbian) – just search for “viewranger” on your app store. The Free upgrade will give the lucky winners superbly detailed USA maps that offer a choice of two maps views; USGS topographic or shaded terrain. And the maps come complete with the national park marked trails (except in AK). Visit our Facebook page Monday through Friday for fun National Park Trivia questions. We will choose two random winners daily to receive the free upgrade. Contest rules can be viewed here. Best of luck and enjoy the trails!